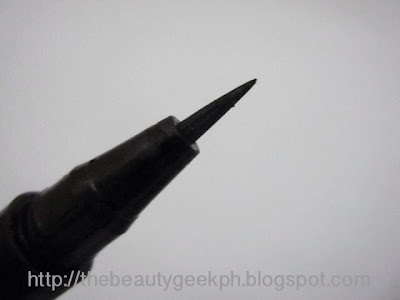 I have been on the look out for black liquid eyeliners that do not reflect light for the longest time already. I noticed how K-pop stars would have nicely lined eyes that are really pigmented - I really mean dark, carbon black lined eyes here. Oh! How I dreamed of that! Now let us move on to the review! This eyeliner expresses clean eye lines with a soft elastic fine brush. A carbon black pigment offers the most intense color. The direct charge method prevents the formula from drying out of clump. In terms of pigmentation, it is indeed INTENSE! I like how the brush is fine and pointed on the tip. 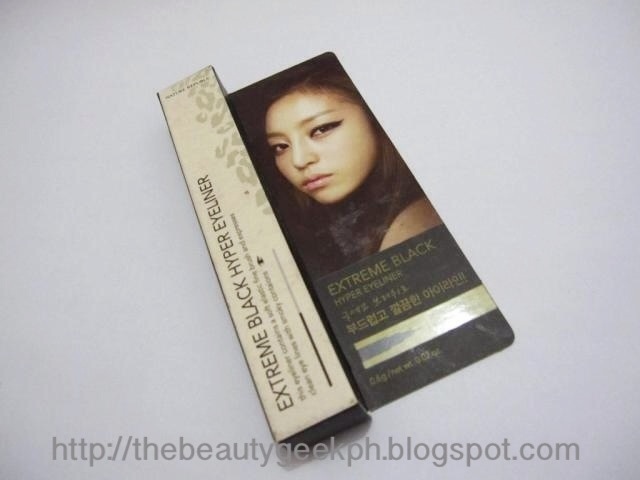 It is easy for me to adjust my application (from thin to thick) with these kinds of eyeliner. The packaging is simple, and easy to bring during travels. Longevity wise, it stays for about 6-8 hours depending on your skin type. I love how pigmented this eyeliner is. I don't have to swipe it on my lids for a number of times as it gives a good carbon black color. And yes! It does not reflect light! It is NOT one of those eyeliners that becomes blue on pictures once the camera flashes. Waterproof! I showed a picture below showing how it still stayed on even if I ran water in it. The brush is easy to work with, it is not too long and is firm enough which is a good thing for people who does not have much of a steady hand like me. They have braille on the packaging to help the blind shop! Its my first time to see something like that in cosmetics. It works well for my oily lids. Locally available - and can be bought online too! It does not dry easily! It's been 6 months and still, it hasn't dried up! Here's the list of ingredients! I did say that it is waterproof. But it smudges easily after I ran water on it. Other than that, I couldn't think of any. They have braille for the blind! How cool is that?! AVAILABILITY: Nature Republic has 4 stores here in the Philippines. You may find them at SM North Edsa - The Block, SM Fairview, SM Megamall and Festival Mall. You may also buy from them online. To know more about it and to keep yourselves updated, you may like their official facebook page. This is how it looks like when swatched! OVERALL: This is a great product considering it costs less than P500 if converted to our currency. 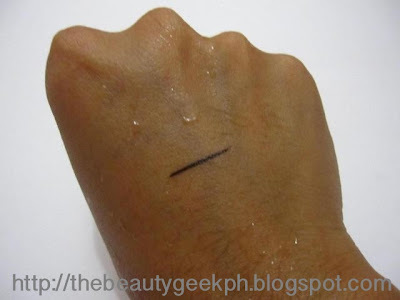 I may not conclude this as my dream liner because I really want something that won't smudge despite the constant rubbing between waterworks. But I tell you, in terms of pigmentation this eye liner is amazing! The brush tip is another plus for me too! Waterproof? Not so much, it gets smudged after..
WILL I REPURCHASE? 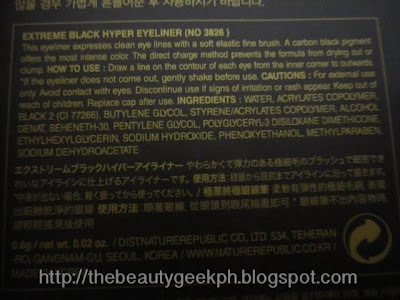 I actually have a back up of this eyeliner because this was bought in Korea and I didn't know that there were Nature Republic stores here in the Philippines last year. Oh my! I should keep myself updated more often in the beauty scene! So, that's all for now girls! What's your favorite eyeliner? I'd love to know about them too! Hi Kat! 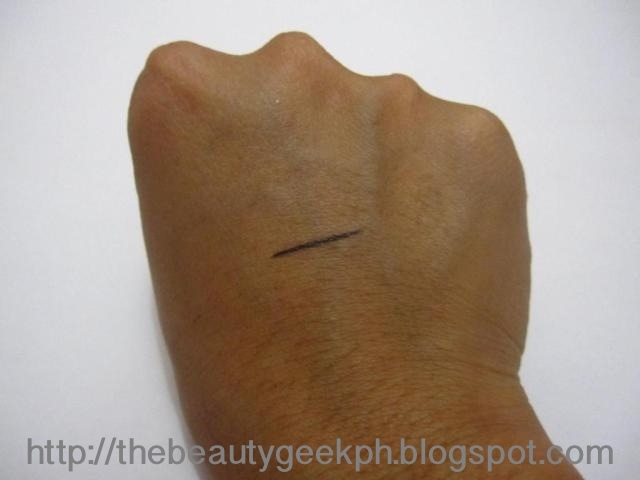 I think I’m going to love this liner because of its pigmentation. 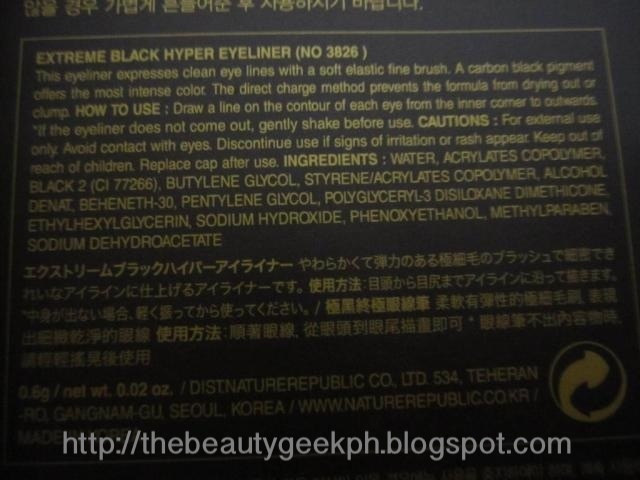 It will be easy for me to apply this on my eyes!